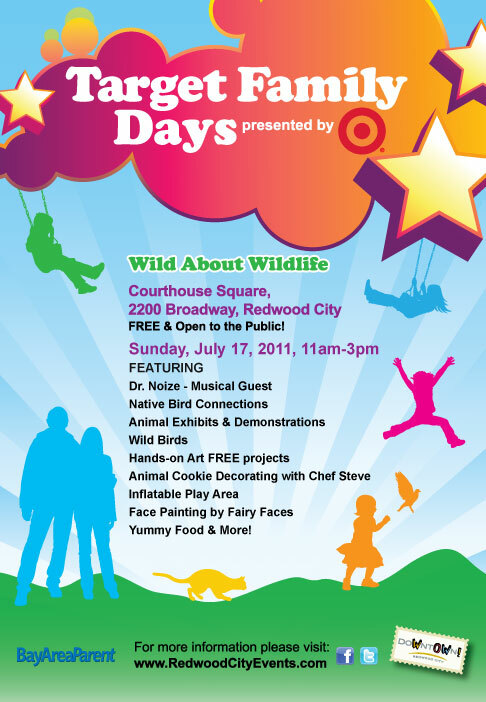 Sunday is Target Family Day at Courthouse Square in Redwood City. There will be live music, performers, cooking demos, face painting, art projects, bounce houses, food and more. Plus, it's free! The theme is Wild about Wildlife. The Lizard Lady will be there! Plus, insects, snakes and owls. 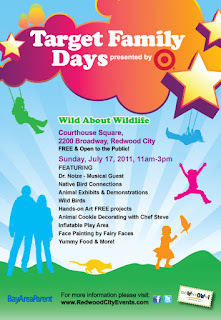 When: Sunday, July 17 from 11 a.m. to 3 p.m.